"Léon: The Professional" (1994) The Israel-born model turned actress first broke onto the film scene at 13 as the Mathilda in “Léon: The Professional.” Delivering a strong performance as a vengeful apprentice for Jean Reno’s skilled Léon, Portman snagged her first major acting credit – and an impressive one at that. "Star Wars: Episode I - The Phantom Menace" (1999) After her Broadway breakthrough and nearly five years after her impressionable film debut, Portman made her first foray into a galaxy far away. In “Star Wars: Episode I - The Phantom Menace,” she played Queen Padme Amidala, a role she would revisit twice more down the road. After the first “Star Wars” prequel, the actress took yet another break from acting to pursue a psychology degree at Harvard University. She graduated in June 2003. 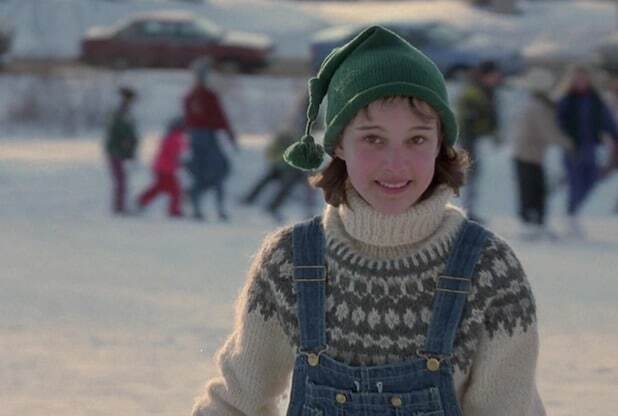 "Garden State" (2004) After her graduation and reprising her role as Queen Amidala for the second installment of the “Star Wars” prequels in 2002, Portman starred alongside Zach Braff for “Garden State” as Samantha, a pathological liar. At the 2015 Toronto Film Festival, Portman said she felt insecure about the film for portraying a manic pixie dream girl. "Closer" (2004) Later that same year, the actress played the seductive, yet elusive, Alice in Mike Nichol’s 2004 film “Closer.” In 2005, Portman secured a Golden Globe nomination for Best Supporting Actress for the role. 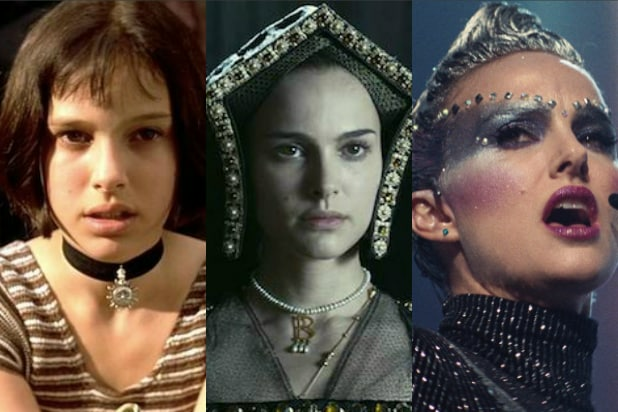 "V for Vendetta" (2005) After her final take as Queen Amidala in “Star Wars: Episode III - Revenge of the Sith,” Portman played a worthy accomplice to yet another killer in “V for Vendetta.” As Evey Hammond, Portman displayed impressive, award-winning vulnerability, as she also rocked a shaved head. "The Other Boleyn Girl" (2008) After Queen Amidala, Portman played another product of royalty in Justin Chadwick's “The Other Boleyn Girl.” In the historical drama about the royal love-triangle of sisters Anne and Mary Boleyn and King Henry VIII, Portman showcased the grace and vulnerability she’s been revered for in past works. "Black Swan" (2010) As if Portman’s career wasn’t noteworthy enough, the actress rustled some feathers and brought home an Oscar, Golden Globe and BAFTA award for her work in Darren Aronofsky’s “Black Swan.” It was on set of this chilling film that Portman met her husband, dancer and choreographer Benjamin Millepied. "Thor" (2011) Portman took her first steps into the Marvel-verse playing astrophysicist Jane Foster, the hammer-wielding god’s love interest in "Thor." Though we've enjoyed seeing Portman taking the driver's seat in films, she still found ways to shine in this co-star role. "A Tale of Love and Darkness" (2016) More than 20 years after her acting debut, Portman made her directorial debut with "A Tale of Love and Darkness." The movie, in which the actress also starred, harkens back to Portman's Israeli roots and her passion for the state. She plays the mother of Israeli writer Amos Oz, whose works Portman said she admires. "Jackie" (2016) In 2016, Portman received an Oscar nomination for her performance as former first lady Jackie Kennedy. The film follows the aftermath of President John Kennedy's brutal assassination and focuses on Jackie's efforts to console a grieving family and define legacy for both her husband and herself. "Annihilation" (2018) Despite backlash for taking up a role originally written as a person of color, Portman played the determined lead in the film adaptation of Jeff VanderMeer's novel, "Annihilation." As Lena, Portman guides an all-female team of researchers, played by Tessa Thompson, Gina Rodriguez and more, to the mysterious Area X. "Vox Lux" (2018) The Hollywood star ends 2018 on a high note as Celeste, a New York pop superstar. Working her way towards an awaited comeback, the singer faces personal scandals and internal conflict in all her foul-mouthed, faux-hawked glory.